Pudpadnoi is a living legend in every sense of the word. 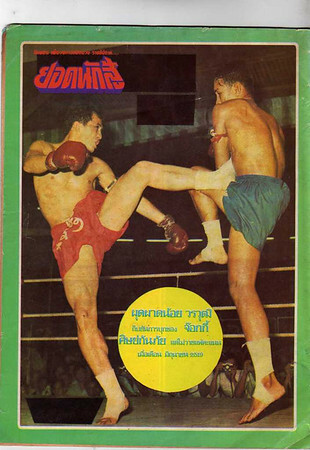 Pudpadnoi was a 3 time Lumpinee stadium champion and a Rajadamnern Stadium tournament champion. Under Pudpoadnoi’s guidance he helped train Guillaume Kerner also known as the “Blonde Angel” into another legend of Muay Thai from France. In 1980 Pudpadnoi moved to France to teach and now in 2012 was working towards creating a new camp in Bangkok, Thailand. Here is Pudpadnoi in his prime fighting days against Sirimongkon. I have never seen this fight in its entirety so much thanks goes to youtube user Chokedee for the fight!